Saturday was a well-attended and fun-filled day at The Tobacco Hut. The roll call included Joe K, Peter G, Vic, Coast Guard Don (two weeks in a row for Don! ), Barry (although he came later in the afternoon), and a newcomer to Saturdays - Arnie, Don's brother in law. And, of course, Lou and myself. A little more about Don and Arnie in a minute, but first, I think we need to change Vic's nickname to ScooterPoot or something. Apparently, he tore a ligament in his left leg several weeks ago and was wearing a boot until it healed. Well, it didn't heal properly and now he's wearing a full hard cast over his foot and almost up to his knee. Lou signed it with a loving, encouraging message of good will ("Too bad, Lou"), but the rest of us were more interested in the little scooter Vic was tooling around in. 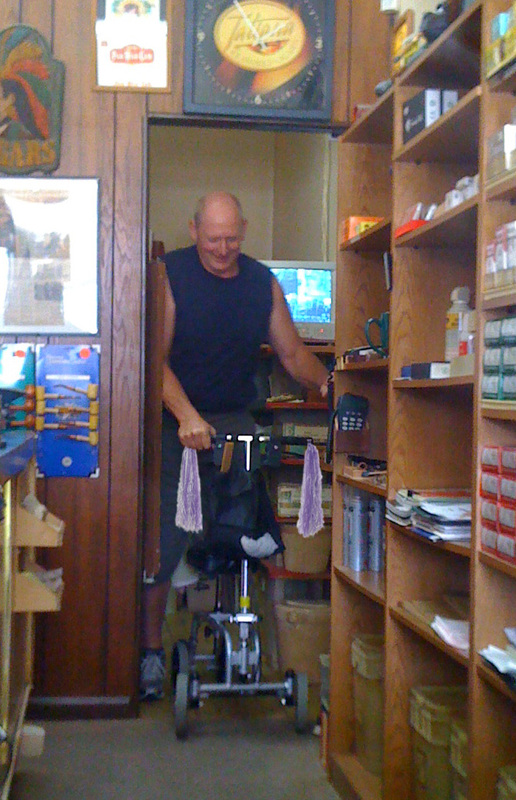 Vic wheeled himself to the restroom and on his way back, Arnie surreptitiously snapped a photo of him trying to navigate his way out of the back room. (Lou, to avoid an ADA lawsuit, you'll probably want to widen the doorway to the back, widen the bathroom door, and install grab bars). We had talked about what accessories Vic should add to the scooter, like a big orange warning flag to the back, a cute basket in front, or chrome wheels. But I think the consensus was that he should add bicycle handlebar streamers. So, thanks to the magic of Photoshop, I have outfitted Vic's scooter with adorable purple and white streamers. I think Vic said he's hoping to have the cast off in a few days so won't be needing the scooter anymore, but hopefully he'll take our kind suggestions to heart and install the streamers before he turns the scooter back in. I enjoyed a bowlful of Baker Street in a pipe I haven't smoked in probably ten years. It was a Savinelli unfinished tomato shape with Lucite stem. I obtained it when I worked at the Tinder Box in Columbus and smoked it so much at the time that it darkened up quite nicely. I added a coat of wax to it and buffed it up and, other than a few spots of putty, it's a good smoking pipe. I'll probably add it back into the rotation. or work on in some capacity. This was Don's second visit in as many weeks, but he'll be shipping off to North Carolina, so it will be awhile before we see him again, I'm afraid. For the next couple days, Don is stationed at the Clearwater Coast Guard station but, my apologies to Don, I can't remember if he said he works on or flies a particular type of airplane. He was talking with Joe about a certain plane last week. I know he said he flies, but not sure if he flies for work or pleasure. In any case, I located a photo of a plane that is based at the Clearwater station and include it here for your viewing pleasure. (The photo was taken at an air show somewhere, but doesn't look like Florida). 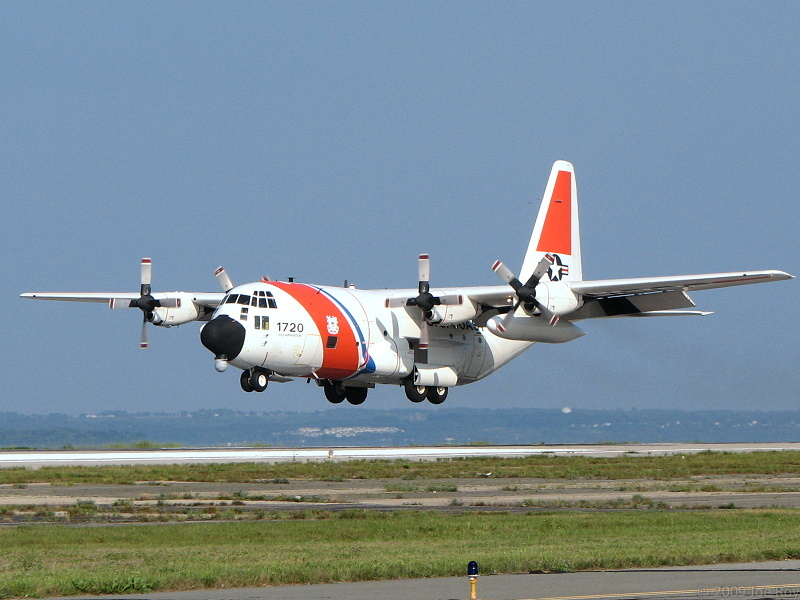 Trivia time: What is the Coast Guard's official motto? It's Latin, and bonus points if you can translate it. Answers at the end of the blog. Don's brother in law, Arnie, is a pilot for Continental Airlines. He is also originally from Norway although Vic and I tried to place his slight accent as Scottish or Irish at first. Arnie has lived in the States for quite awhile now, in Pennsylvania, but is looking to relocate to Florida sometime in the future. One could say that by migrating from Norway to North America, he has followed in his ancestors' footsteps, since the Vikings actually discovered North America before Columbus did. Archaeological digs in Labrador and parts of Newfoundland prove that the Norse lived in North America five hundred years before Columbus "discovered" the New World. Truth be told, neither Columbus nor the Vikings actually discovered America. Various indigenous tribes had been living here quite happily for thousands of years before any Europeans set foot in the Americas. Arnie flies 767's on mostly international routes and, in his honor, I have included a pretty cool photo of just such a plane. I stole the photo from someone's website, thanks to Google Images. 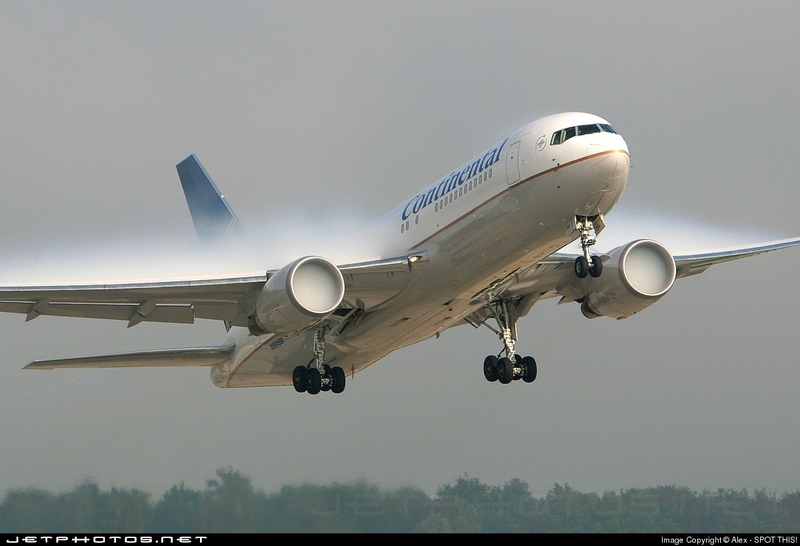 It shows a heavy layer of condensation accumulating on the wings and in the engine intakes. Arnie had lots to say about life in Norway which, as is most of Europe, a socialist capitalist society. I thought I would no longer be the lone liberal in the room when he explained that for years he always leaned more to the left, but now has swung over to the dark side (my words, not his) and is more right-leaning. Joe erupted with a "Thank you, Jesus!" and when Arnie identified himself as a Christian, I knew I was once again the token Godless communist in the room. Peter is doing well in his new position as food service sales representative, having opened a new account this past week. I told him that Paula and I were headed to Mr. Souvlaki in Tarpon Springs for dinner. By the way, we ran into Undertaker Tom at the restaurant. He advised the waiter to watch out for me, as I was one of the biggest "dine and dashers" in the county. Thanks Tom, I felt like I had to tip extra big to make up for the guy's newfound suspicion of me. Arnie and Don spoke at length about preparing various foods. Don apparently has a 1000 lb. meat smoker and Arnie explained how to salt and age various meats. Peter, Vic, and Joe were all salivating, especially when Arnie was talking about preparing and cooking leg of lamb. It was all quite interesting, even to someone like me who can barely make Jello without burning it. Arnie also had everyone salivating about aquavit, a vodka-like spirit that originated in Scandinavia and is obviously one of Arnie's favorite drinks. He has pledged to bring some one day for us to sample and I'm sure if we announce it ahead of time, the Hut will be packed that day. 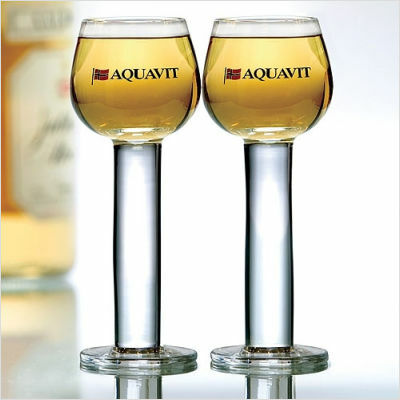 Akevitt, as it is spelled in Norwegian, is distilled from grain or, as is the case in Norway, from potatoes and blended with spices such as caraway, cumin, and anise. 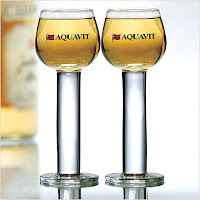 A little research on Wikipedia discovered that, although many Scandinavian countries drink aquavit, Norway's production and consumption of it is unique. In fact, Arnie mentioned that the akevitt is aged in oak casks that are transported by ship from the colder northern latitudes southward past the equator and back north again, to gradually change the temperature of the liquor, all to assist in the proper aging. We watched as Derek Jeter got his 3000th hit, becoming only the 28th player in major league history to accomplish that feat, and the second to do it with a home run (Wade Boggs doing it first, as a Devil Rays player). Vic was kind enough to call Barry at work to let him know we all witnessed history while he was digging a ditch. Barry came later in the day, but everyone had left by that time except me. Sorry you missed the fun, Barry! That's it for now. Safe travels to Don and Arnie and hope to see them again soon. Arnie said he would try to make it next Saturday and Vic was hoping to as well, but after seeing the above picture, he might stay away for awhile. 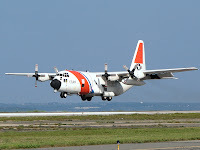 Oh yes, the Coast Guard motto is Semper Paratus, which is Latin for "Always Ready", not to be confused with the Marine's motto, Semper Fidelis, or "Always Faithful."